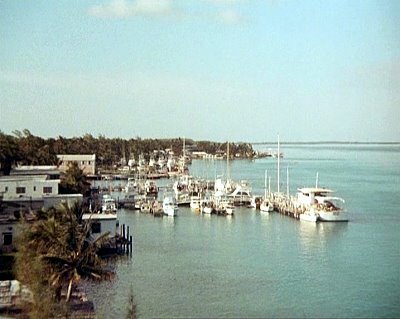 Establishing shots of Bimini harbour. Jason King is big game fishing out of Brown’s Marina, Bimini. 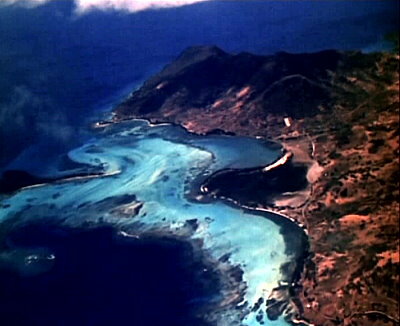 In the plane, Simon points out the West Indies to April Mallory. Drake is taken by helicopter to Fortiuato’s favourite haunts. Drake is sent to the Island of Shinda Shima on the next stage of his journey. The civil servant surveys various tropical islands from the jet trainer before being severely let down by ‘Pinta Man’. 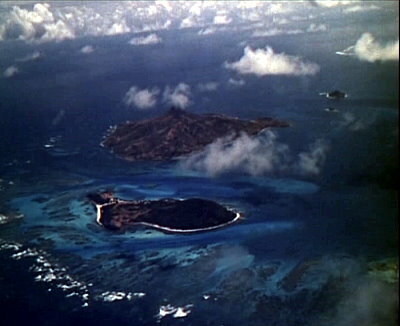 The aeroplane taking Steed and company to a party supposedly in the South of England, takes a dramatic detour and starts a decent towards an island far out at sea. 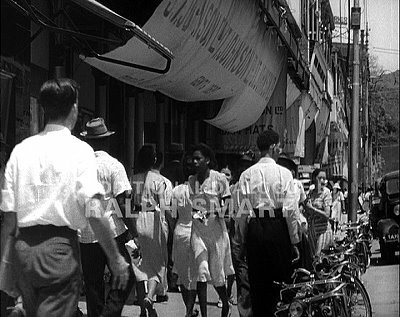 Richard Barrett, Sharron Mcready and Craig Sterling arrive in the San Dios fishing village of Mustania with Professor Anna Maria Martes. Davis breaks into Morgan’s Layer to expose Fortiuato’s activities. Later Drake is taken as a prisoner to the fort. Drake returns to Lisbon Airport with Emma Stanway and the rest of the gang. 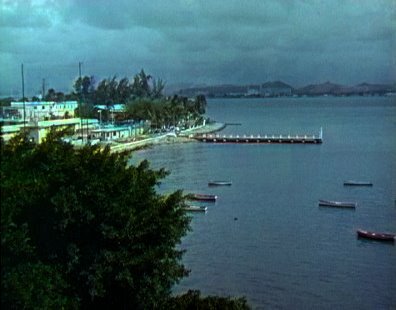 Establishing footage as Drake reports to the World Travel offices in Port au Price, Haiti (Frederick Street, Port of Spain). 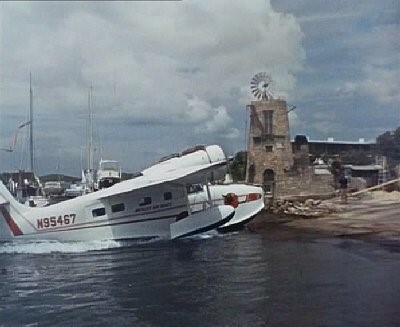 Simon and Marla Clayton arrive by seaplane at Charles Krayford’s Caribbean island (Christainsted Harbour). 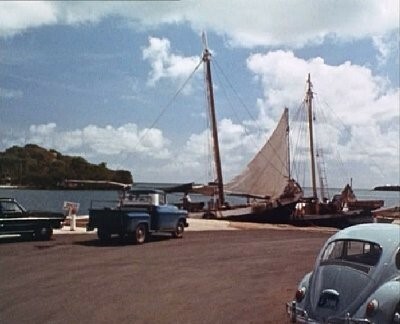 Protestant Cay, St Croix:Simon and Marla borrow the Jeep to visit the local town (Protestant Cay) (World Backgrounds 10773). 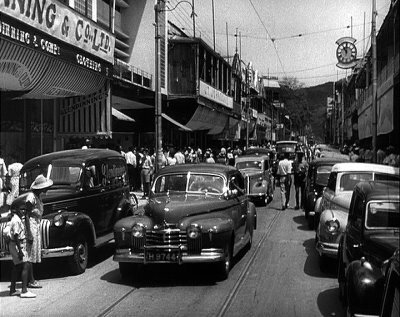 Simon Templar and April Mallory travel through a bustling West Indies street to the docks (Main Street Charlotte Amalie, St. Thomas). Establishing shot of street in British Colony (Main Street Charlotte Amalie, St. Thomas). 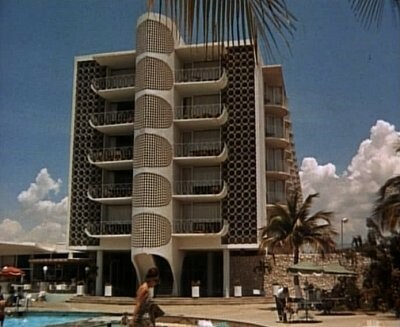 Simon is drinking in a Caribbean club watching the entertainment (Stock footage from The Jungle Club, Charlotte Amalie). 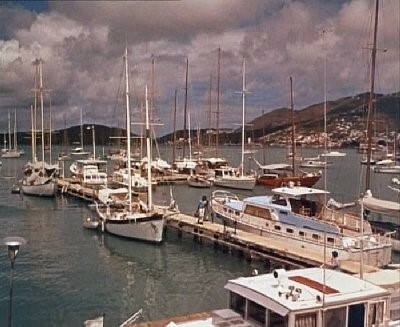 Simon and Marla borrow the Jeep to search the island, they start by the harbour (Charlotte Amalie Harbour) and the next day drive along the coast road of Charles Krayford’s Caribbean (road above Charlotte Amalie Harbour). 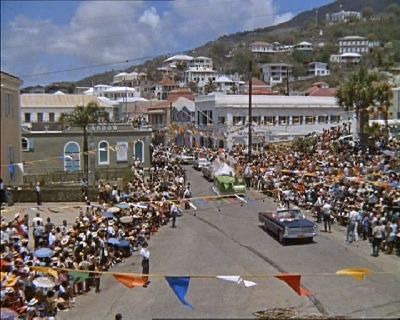 Craig and Richard are working on a case in the Caribbean (stock footage of carnival in main street Charlotte Amalie). 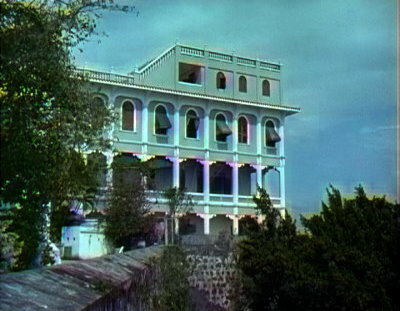 Miss Key’s mansion where Drake is held whilst the arms deal is completed (World Backgrounds clip 1216). Drake is taken by Mora To his home. The adventure revolves around a “Greek speaking parrot” advertised in a Jamaican newspaper advert. 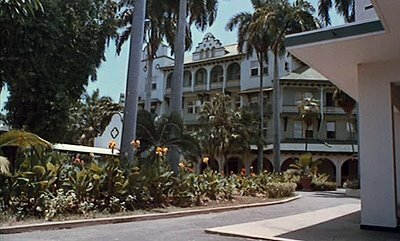 John Drake arrives at the Caribbean airport posing as a detective Superintendent Grant. 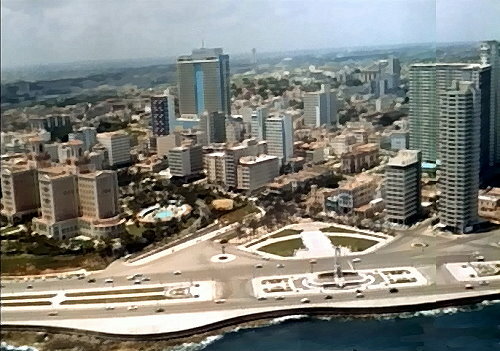 John Drake flies into Cuba posing as journalist John White.